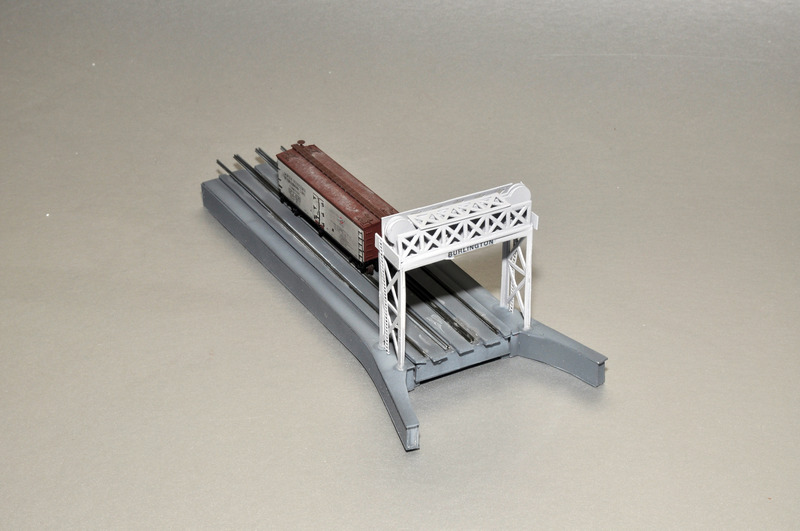 A new bridge/dock for the ATSF barges features a positionable bridge, a bridge lift mechanism, and correctly spaced channels for mounting rails. Builders can leave off the pieces that form the channels and use sectional track on the plain decks, although extensive trimming of ties will be necessary to match the prototype’s spacing, in which the center rails are closely adjacent to the rails for the outer tracks. Here a barge painted for the Burlington railroad is at the dock. With careful trimming, a slight press-fit between the barge and the bridge can be achieved. 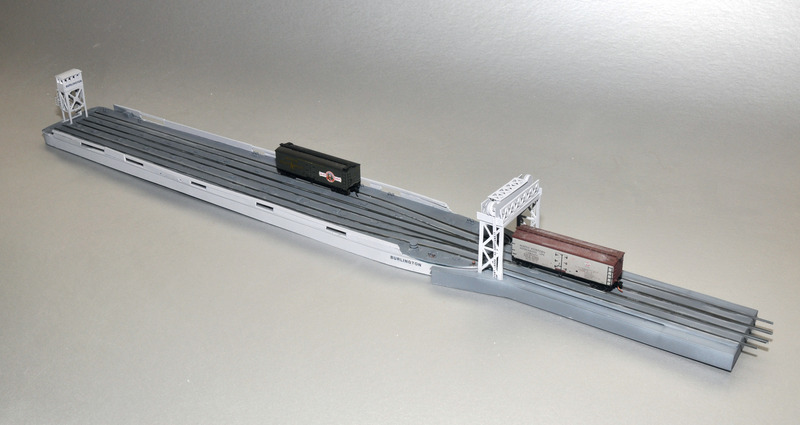 Here’s a slightly closer look at how the barge and dock, with rails installed, match. 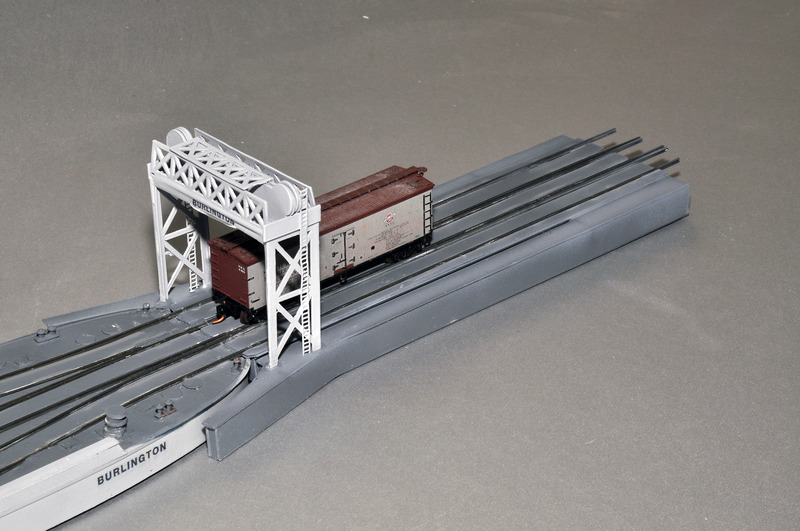 The bridge/dock is 180 mm (7″) long; with the integral docking wings, it is 215 mm (8.5″) long. The kit, without rails, is $69. A built-up without rails is $169. Installation of rails for both barge and dock is $125. Installation on the barge alone is $100. The rails on the dock can not be installed separately. This entry was posted in Custom Ships, N Scale Parts, N Scale Ships, N Scale Ships and tagged barges, N Scale Ships, Z Scale Ships. Bookmark the permalink.